Interior of Margaret Esherick House in Chestnut Hill. 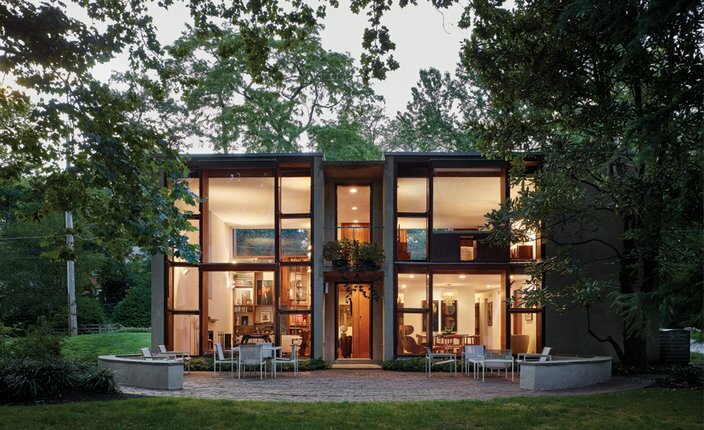 Famed Philadelphia architect Louis I. Kahn's Margaret Esherick House in Chestnut Hill has been awarded a 2016 Design Citation of Merit by Docomomo as part of its Modernism in America Program. Located at 204 Sunrise Lane, the Margaret Esherick House was built between 1959 and 1961 and changed ownership a few times before it was added to the Philadelphia Register of Historic Places in 2009. The Docomomo award is a testament to the restoration work completed by architect k YODER design and designer Louise Cohen. 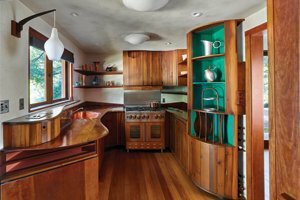 The project was commissioned by bookshop owner Margaret Esherick, the niece of celebrated sculptor and furniture maker Wharton Esherick, who contributed woodwork in the home's kitchen. At the time of its design, Kahn viewed the residence as an opportunity to experiment with innovative design concepts that would shape his concurrent work on the Tribune Review Printing Press Building in Greensburg, Pennsylvania. Margaret Esherick House at 204 Sunrise Lane. At 2,500 square feet, the one-bedroom home stands out for its "T"-shaped windows and alternating use of four "served" and "servant" spaces — the terminology Kahn used to distinguish between primary and secondary areas of a building. Earlier this month, the Margaret Esherick house, one of nine private homes Kahn built in the Philadelphia area, was honored with a Preservation Achievement Award by the Preservation Alliance for Greater Philadelphia. The award also recognizes the restoration efforts that made the home livable for the 21st Century. The property was last purchased for $900,000 by Paul Savidge and Dan Macey in 2014. William Whitaker, who oversees the Louis I. Kahn Collection in the University of Pennsylvania's Architectural Archives was joined by former Wharton Esherick Museum director Paul Eisenhower as an advisor on the project. Kahn, an Estonian immigrant who came to Philadelphia in 1906, served as a widely influential architecture professor at the University of Pennsylvania's School of Design. His emergence as the informal leader of the "Philadelphia School," a regional circle of designers and architects, remains a lasting historical step beyond the boundaries of functionalism.